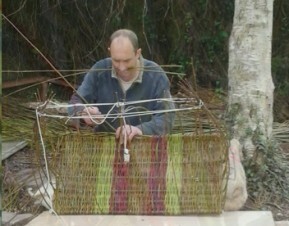 We are delighted to welcome basketmaker Clyde Jefferson to the Wobage studios. 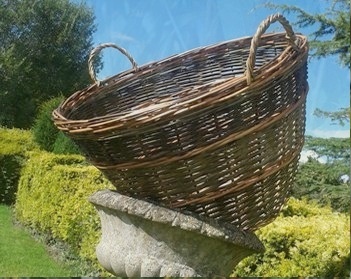 Working in the upstairs of the Farm granary, Clyde works alone creating a range of traditional baskets, handmade from a wide variety of natural hedgerow materials. 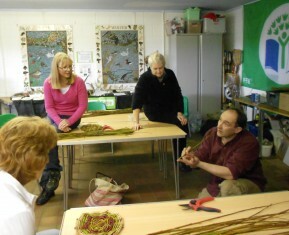 All materials are sourced from renewable and sustainably managed hedgerows. They include willows of many types, dogwood, privet, holly, spindle tree and many others. 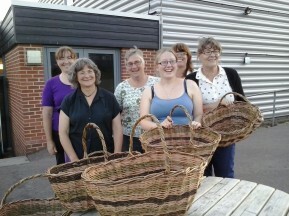 Clyde is inspired by the colours of nature, and by the geometric patterns he creates as he weaves and crafts a myriad of shapes and sizes from big log baskets, laundry baskets and plant containers to fruit bowls, gift hampers, shopping baskets, sewing baskets and wastepaper bins. By reviving this ancient craft, he has realised the relevant application of natural, renewable materials and its place in a modern lifestyle, from replacing plastic shopping baskets to providing a living fence to surround your garden. 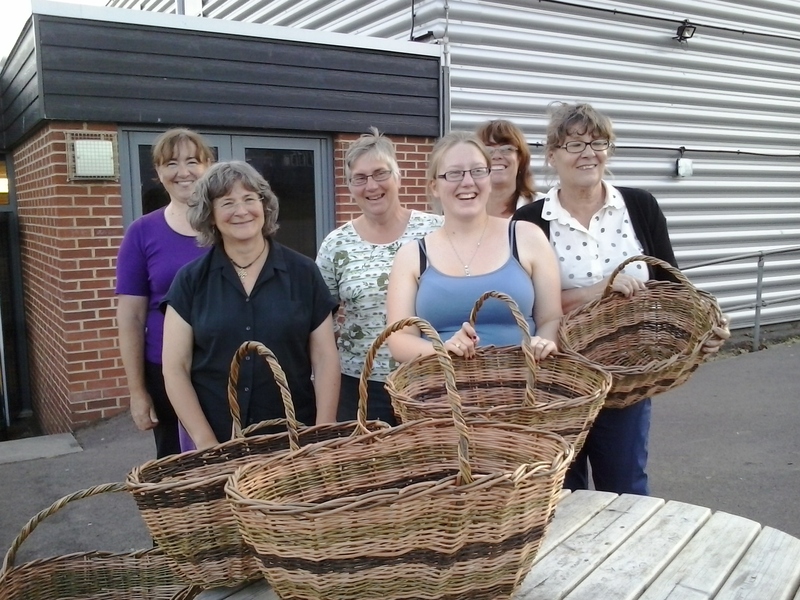 Baskets can be made to your specifications – if you can think it, Clyde can make it!